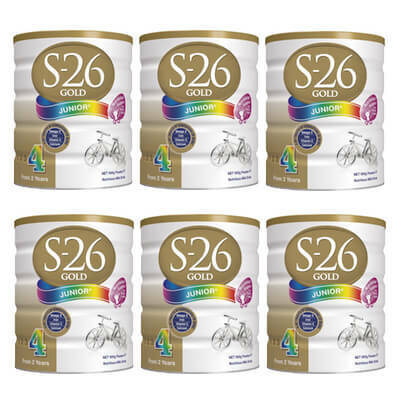 S-26 GOLD® TODDLER is a nutritious vanilla milk drink for toddlers aged one year and older. 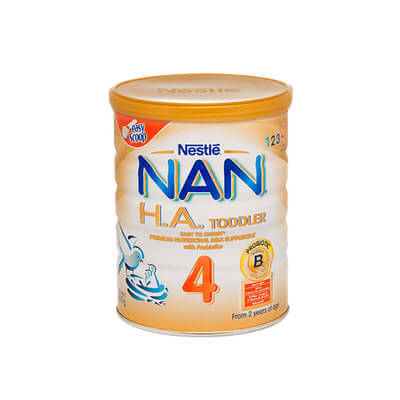 It is specially formulated with age appropriate vitamins and minerals including B vitamins, iron and calcium to help support your toddler’s growth and development. 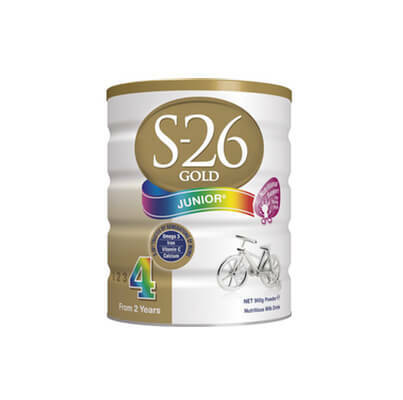 S-26 GOLD® TODDLER can be included in your toddler’s diet as a supplement, which may be beneficial when dietary intakes of energy and nutrients are inadequate. Omega 3 from 100% vegetable sources. An Energy level (270KJ/100mL) comparable to the same amount of regular cow’s milk (avg 277KJ/100mL). Energy intake from nutritious food is important for toddlers. 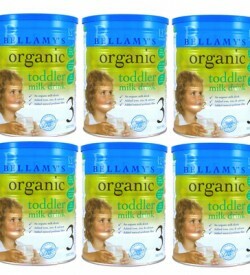 Nonfat milk powder; lactose; vegetable oils (including soybean); whey protein concentrate; emulsifiers (monoglycerides, soy lecithin); acidity regulator (potassium bicarbonate); acidity regulator (citric acid); ethyl vanillin; long chain polyunsaturated fatty acids from single-cell sources [arachidonic acid (AA), docosahexaenoic acid (DHA)]; antioxidants (mixed tocopherols concentrate, ascorbyl palmitate); lutein. Minerals Calcium phosphate; sodium phosphate; magnesium chloride; calcium chloride; ferrous sulphate; zinc sulphate; potassium iodide. Vitamins Vitamin C; vitamin E; niacin; vitamin B6; vitamin B1; vitamin A; vitamin B2; vitamin D; beta carotene; folic acid. Contains no added sucrose, artificial colours or preservatives. 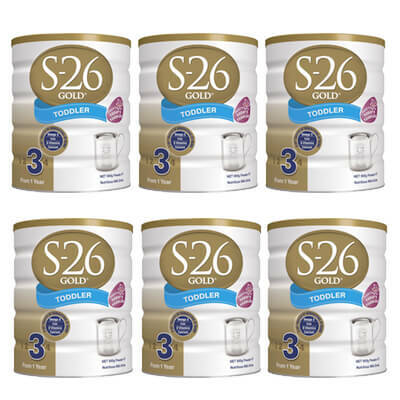 Be the first to review “Wyeth S26 Gold Stage 3 Toddler 900g x 6 (Australia)” Click here to cancel reply.